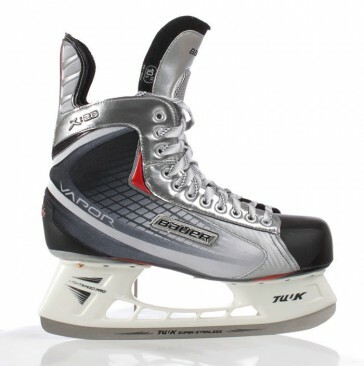 Bauer Skate Vapor X 20 Sr. Solid Hockey Kate woven nylon with thermo-molded structure. Molded anatomical ankle padding inside and the tongue lining provide much comfort. The blade is made of stainless steel. You're reviewing: Bauer Skate Vapor X 20 Sr.